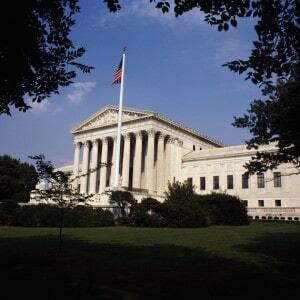 As noted previously, the United States Supreme Court had two cases before it where it had the opportunity to provide a clear direction in the law on denominational trust clause cases and guidance on the ownership of Church property. Yesterday, the U.S. Supreme Court denied review in two unrelated cases involving disputes over church property after the breakaway of a congregation from its parent body. It denied certiorari in Presbytery of the Twin Cities Area v. Eden Prairie Presbyterian Church, Inc., (Docket No. 17-582, cert. denied 6/11/2018). In the case, the Minnesota Court of Appeals held that it was proper to apply the “neutral principles of law” approach, rather than applying the ecclesiastical abstention doctrine, to decide ownership of property of a congregation which had disaffiliated from the Presbyterian Church USA. The court also denied certiorari in Protestant Episcopal Church in the Diocese of South Carolina v. The Episcopal Church, (Docket No. 17-1136, cert. denied 6/11/2018). In the case, the 5-member South Carolina Supreme Court in 5 separate opinions resolved a property dispute that arose after a split in the Episcopal Church in South Carolina. The enforceability of a denominational trust clause is state specific. The state will look at the state trust law, state corporate law and the interplay of the First Amendment Free Exercise Clause, as interpreted by the state court, to make a decision as to who owns the property. Before leaving a denomination, a local church must take steps to prepare itself to leave. This involves an intense review and perhaps amendment of corporate documents and property deeds. The sure way of a local Church losing its property is announcing that it is leaving the denomination and then trying to change their governance materials. We have prepared a guide outlining the current state of the law with respect to the United Methodist Trust clause that you can download here to find out the current state of the law as it relates to your local Church in your local state. We have also prepared a whitepaper outlining the steps a local church can take to prepare when thinking about departing from a denomination. Please contact me for this paper. Despite the lack of clarity on the law, there still are paths forward on this issue where we can help your local church depart from the denomination. If you wish to learn more, please contact Daniel Dalton or one of the professionals at Dalton & Tomich, PLC to assist you with this issue.